Have you ever been to the Portugal? If not, let me try and give you a taste: imagine that warm, summer feeling where the sun is bathing you in warm rays, you are wiggling your feet in the delicate sand, and you are not at all bothered how sticky it feels on your damp feet. A fresh smell of lemons is wafting in from somewhere, and even though you can’t see the trees, you know they are nearby. You can also smell the saltiness in the air, and that yummy smell of sunscreen, good sunscreen, lemons, and coconuts. There is a glass of crisp and chilled wine in your hand, cool to the touch, and you are well aware of the fact that in the near future, a meal of fish and olives awaits, with a hint of paprika, and a certain spice you can’t quite place. Ready for your vacation yet? Welcome to Portugal, a country rich in history and culture, the home to some of the finest sand in the world, where the surf is excellent, the wine is chilled just right, where the day’s catch is like nothing you’ve had at home, and where you truly can unwind, recharge, and forget about the world waiting for your return. 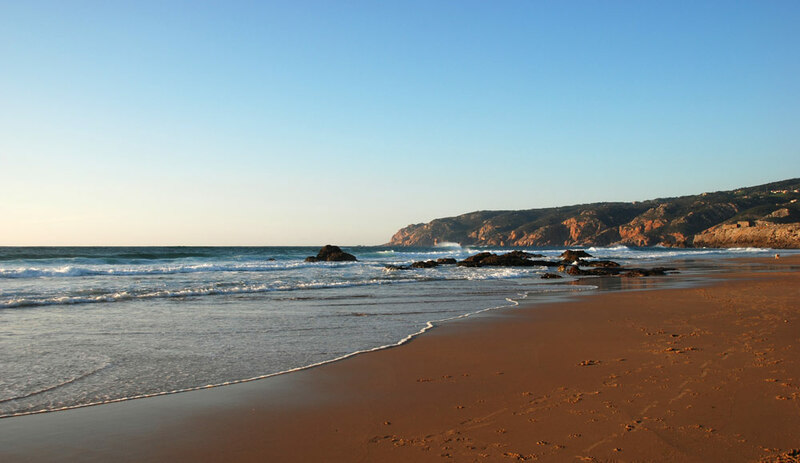 The Praia da Borderia is located in the Algarve, one of Portugal’s most famous and most visited spots for holidaymakers. The beach is a favorite haunt of surfers and windsurfers, as the winds that blow here make it perfect for all those who wish to feel a rush of adrenaline as they hit the waves. The beach has a bit of a rugged feel to it, with the surf and the dunes meeting to lend the landscape a particular sense of wilderness. 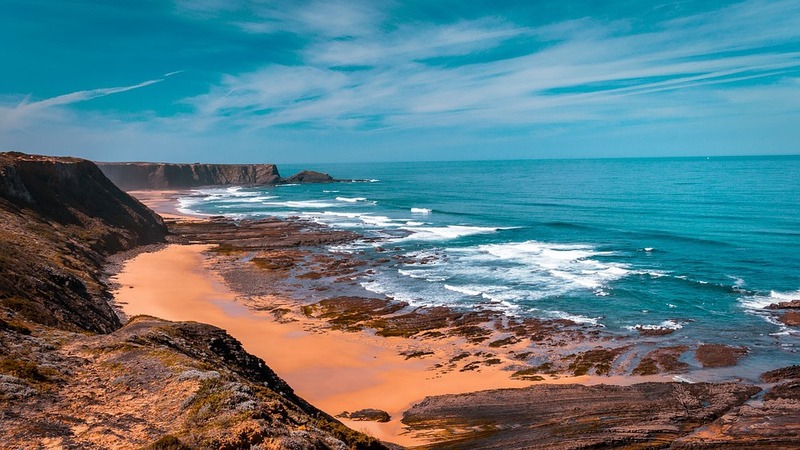 It is definitely not a beach for sunbathing, but it is much quieter than some of the Algarve’s other beaches, so keep that in mind if you choose to visit. There are fewer bars and restaurants available and there is no crowded feeling of an overdeveloped beach, so you are well advised to bring a snack with you if you plan on staying longer. Staying in the Algarve for a bit as we tackle the next beach on our list, the Praia de Tavira, which is located on an island of the same name, and which can only be reached from the city of the same name by ferry. While it is rather small, and stretching only 11 kilometers long, it is home to one of the most wondrous beaches in the region. There are not many buildings on the island – and if you want to feel a bit like on a deserted island, you are going to the right place. There is a park available for camping, but other than that, it is pretty deserted in the very best sense of the word. 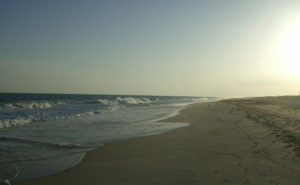 You can rent umbrellas and beds if you need to, and you will find plenty of space to spread them – the sand is amazing, soft and gentle, and running on it will give you quite a workout, as you sink in with each step. 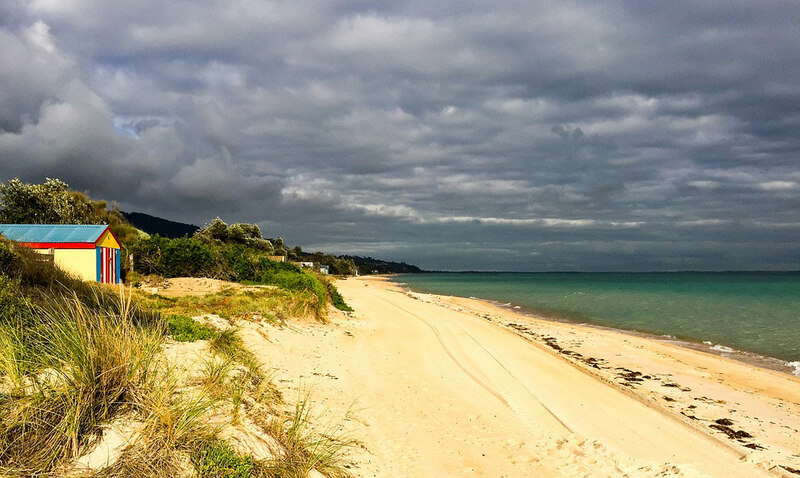 The air is peaceful and fresh, and this beach can be your go-to getaway from the crowds. Cascais is one of the more famous towns in Portugal, with its name unpronounceable by many a foreign visitor. 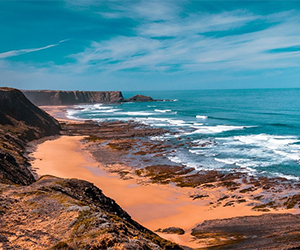 Here you can find some of the most amazing seafood this coast has to offer, and the beach, the Praia do Guincho, is a story in itself. 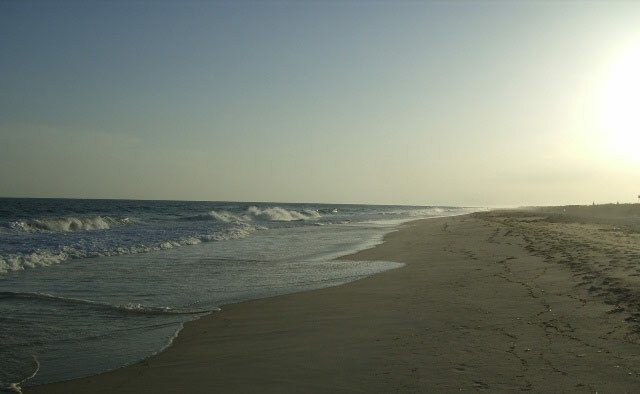 If you are a movie buff, you will want to know that the beach is featured in the opening scenes of On Her Majesty’s Secret Service – good to know that Bond, James Bond has also once walked these sands. Today, the beach is part of a nature reserve where there are no more bad guys lurking in the bushes, just some lovely scenery and waves to your heart’s content. This can be the perfect beach for you to learn to surf if you haven’t already mastered the art, and you will certainly enjoy some of the munchies on the beach. Returning to the Algarve for one final beach, the Porto de Mos. It is surrounded by cliffs like something out of an Agatha Christie novel, and there are plenty of caves and caverns for you to explore while there. The sands here are like they are everywhere else in the Algarve, soft and kind, golden and mesmerizing. There are plenty of hotels to choose from if you wish to stay here, and they are luxurious and just perfect for getting to know the country a bit better. This is also the perfect place to perfect your tan, and enjoy some slow swimming in great waters. Fun fact: the 2015 FIFA Beach Soccer World Cup was held at the Praia da Baia, and it is the perfect place to engage in some beach sports, not just soccer. You can also surf here, and it is the favorite haunt of many families so you can expect a lively atmosphere with a lot of kids running around. 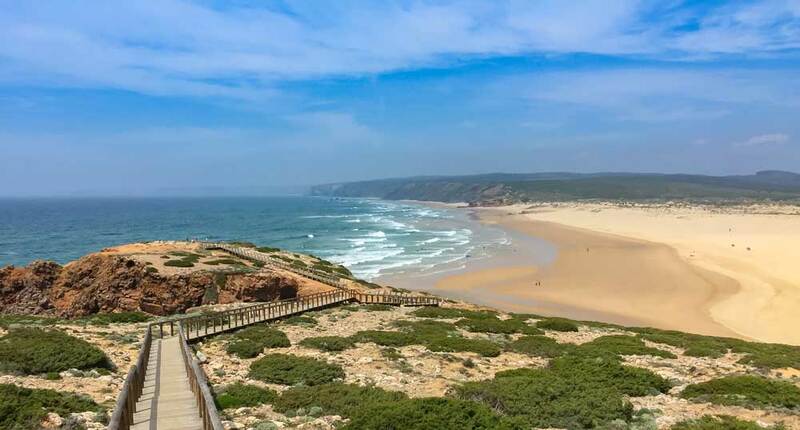 The accommodation is also stellar, and the beach bars are excellent – we advise trying a Mojito, and some of the local wines as well – they are amazing, as they are in almost every other corner of Portugal. If you are still unsure about your next holiday destination, why not fly down to the Algarve? Portugal is a country of sunshine, gentle surf, and delectable seafood. Its people are friendly, can cook up a storm in a matter of minutes and their love of music will have you walking back to your apartment from a late dinner with a new spring in your step. Don’t let us keep convincing you – sample Portugal for yourself, and stock up on sunshine for the rest of the year.